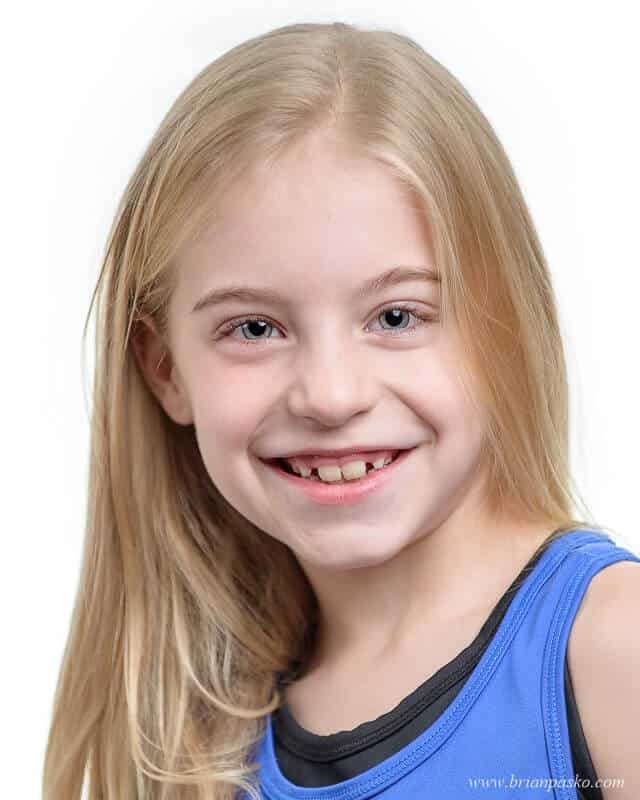 Eight-year old Abby is a competitive dancer. She needed some professional head shots that she could submit with her dance competition applications and I was more than happy to oblige! Now, it’s an understatement to suggest that this girl loves to dance. And she’s one fireball of energy. Needless to say, we had a ton of fun creating these images! Abby dances with the Portland Dance Center in Beaverton, Oregon. She performs in a variety of genres from classical ballet to contemporary jazz. These images of Abby were not created in a traditional studio. We were in Abby’s basement! While creating head shot images in a studio setting is probably the easiest and most efficient approach, I am quite accustomed to photographing in a variety of styles on location. 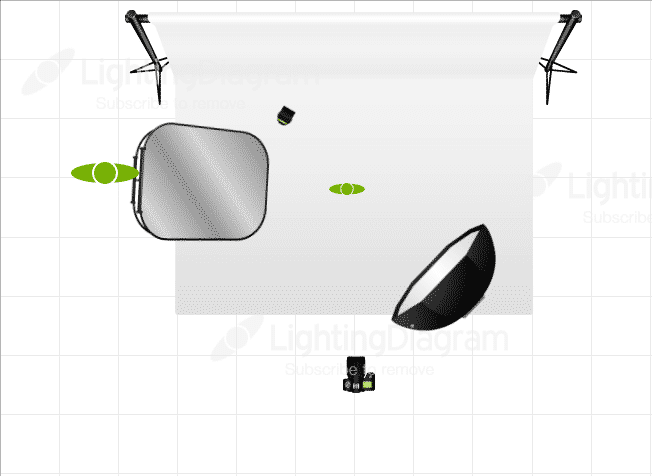 In this case I brought a background stand, a white backdrop, a reflector, a studio strobe, a large octabox and a Nikon Speedlight. Abby was lit with a single light (the studio strobe and octabox) from camera right. The octabox serves to create a large light source that results in soft shadows on the subject. I asked Abby’s mom to stand with a large reflector to camera left, which also lightened up the soft shadows created by the octabox. Finally, I placed a small speedlight (another term for flash) on the floor behind Abby. I aimed the speedlight directly at the background to make sure it would go completely white in the final portraits. 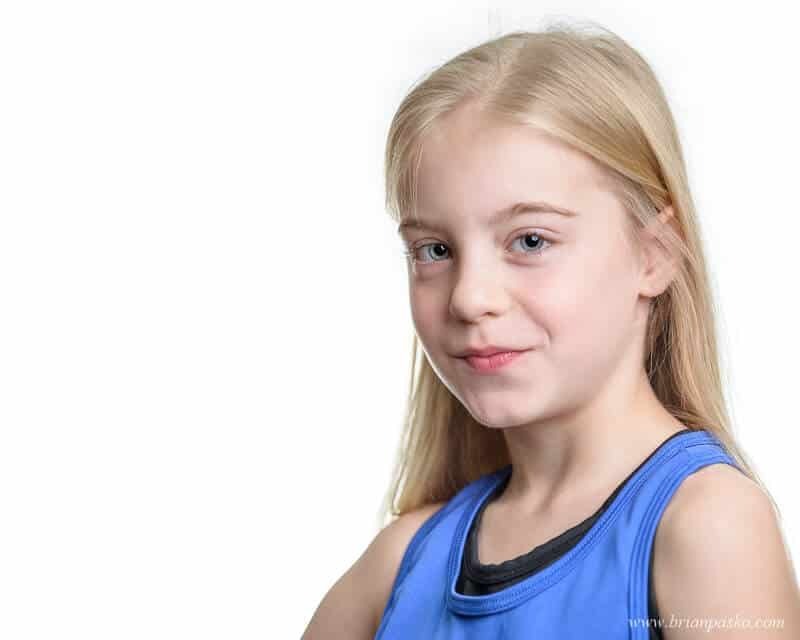 Whether you are an eight year old dancer or a 60 year old retired businessman, I can help you create the perfect head shot to meet your needs! Contact me for more information!